Fasting is practiced in our country and around the world since ages. Fasting is known to have many benefits of healing both physically and spiritually. Water Fasting is considered to be a very powerful form of fasting, and of course arguably the most difficult one too! Water fast is basically fasting with just water. The fast can be done for a day or carried out for many days. There are many names engraved in the history of those who have successfully carried out the water fasting, and they are Socrates, Plato, Hippocrates, Moses, Jesus, Gandhi and Mohamed. They practiced water fasting basically to make their body strong enough to combat with illness and also to build up their spirituality. So what happens to our body when we go through water fasting? Complete water fast means a zero calorie intake. Generally our body makes use of sugar, also called glucose which happens to be a primary source of energy to carry out the activities. The excess glucose is then stored in the liver, which is transformed into glycogen reserve. When we fast the glycogen is used up completely and then the body shifts over to ketosis making use of the fats as energy to carry out the process. Usually the ketosis stage is reached after 3 days of fast, then after 7 days of fast the body starts to use the nonessential cellular masses like the degenerative tissues as well as fibroid tumours, viruses, bacteria or for that matter any other compounds present in the body as energy. 1. Detoxification: This is popular term for everyone currently as each and everyone is up for detoxification now a days. Detoxification, in general is a process of discarding toxins through skin, colon, liver, lymph glands, kidneys and lungs. During water fasting the toxins present in the body are completely eliminated creating the best environment inside the body. The result of which will be a healthier gums, teeth and skin. 2. Weight loss: By far the best remedy for obesity! Like I mentioned before, the excess fat will be cut down as energy during water fasting resulting in weight loss. 3. Better immune system: In the course of water fasting, the focus of energy is far from digestive system. It revolves around the parts that concentrate on the immune system and metabolism. 4. Body sensitivity increases: During the course of water fasting, we get a deep and strong awareness of our body from within due to increased body sensations. 5. Body rejuvenation and promotes longer life: Water fasting allows the body to get the much required break to deal with the damaged tissues and to fix the other illnesses of the body. As the consequence the body is in a rejuvenated condition which allows the body to develop further. 6. Improved Cardiovascular system: The water fasting stabilizes the blood pressure and apart from that the cholesterol level is also reduced. 7. Spiritual connection increases: During the water fasting as we said before the physical toxins flush out from the body which also allows us to calm down emotionally throwing away the emotional baggage we carried along for a long time and we welcome positive emotions in our body. This makes the body much more spiritually connected. 8. Muscular and skeletal system is enhanced: During water fasting anti inflammatory actions takes place in the muscular as well as the skeletal system. It cures all sorts of ailments concerned with joints and muscles. 9. Bowel movements will be stabilized: Water fasting also stabilizes the bowel movements completely. The digestive system will cleanse out the toxins from within and clear the bowels and thus the bowel movement will be completely refreshed to perform better. 10. 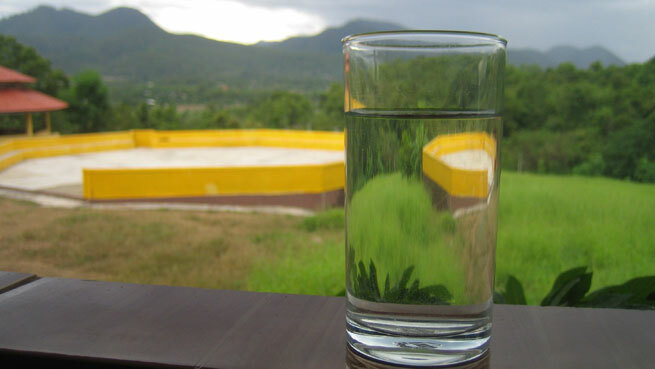 Treats type II Diabetes: Water fasting is known to be very effective in the treatment of type II diabetes even reversing the condition entirely. Fasting no doubt is good, however before carrying out the water fasting it is very important to take the doctor’s advice as you need to know if your body is ready for it.